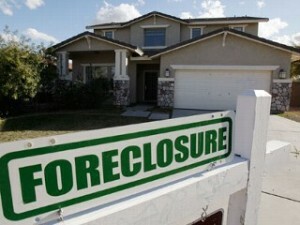 It looks like the housing market will start 2011 the same way it did 2010 which is in dire straits. With home sales still miserable, home-building figures near a 50 year low and home prices still about 30% below their peak the housing market is still a major center piece of the United States’ economic woes. While rampant unemployment rates are still playing a role in the current economic situation, high foreclosure rates have allowed a high number of unsold homes to hit the housing market, lowering the overall costs of all the other homes that were already up for sale. Even with government programs such as the Home Affordable Modification Program in place people are still losing their homes to foreclosure, which is in turn hurting the nation’s economy. Some people who appear to be prime candidates for the Home Affordable Modification Program are having issues getting approved for the program thanks to their lenders ineptitude. A great example of this situation is Debra Dahlmer of Gloucester, Mass. Dahlmer is a 55 year-old widow who lives with her mother and is legally blind in one eye. Because of her disability Dahlmer has guaranteed income which she supplements by renting out another part of her house. With all of these factors Dahlmer should be a prime candidate for President Obama’s Home Affordable Modification Program, but she keeps running into problems when submitting the paper work to her lender, Bank of America. If lenders are unable to quickly process qualified applicants into the Home Affordable Modification Program the purpose of these government programs is defeated as the homeowner will likely lose their house to foreclosure. A good way to help ensure that more houses do not meet their foreclosure fate undeservedly is to try and speed up the approval process for these government programs aimed at stopping foreclosures. Once the housing market starts to pick back up the rest of the economy will surely follow as well, hopefully creating new jobs in the process.